Julie Chen made her return to TV on Thursday night, hosting "Big Brother" days after her husband Les Moonves was forced to resign as CEO of CBS Corporation. At the end of the program, which airs on CBS, Chen signed off saying, "I'm Julie Chen Moonves. Goodnight." 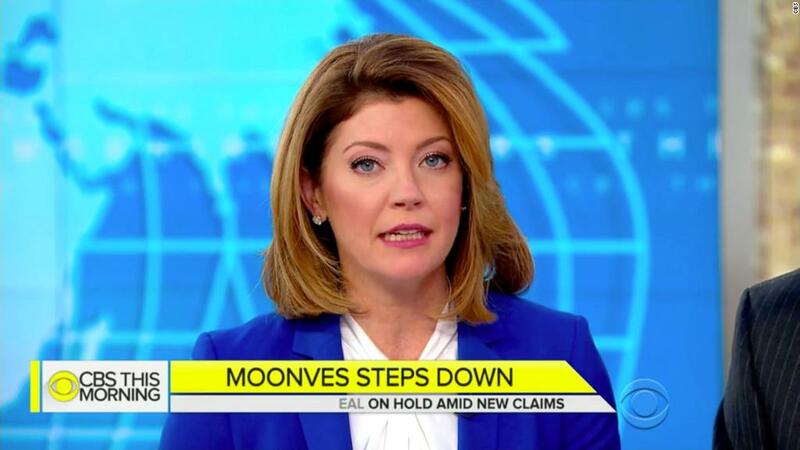 The Hollywood Reporter noted that this is the first time she used the last name Moonves on the show. Chen had taken the week off from her hosting duties on CBS' "The Talk" after her husband stepped down in the wake of a second story by Ronan Farrow in the New Yorker detailing sexual misconduct allegations from an additional six women, who decided to speak out because they felt CBS had failed to take proper action against Moonves. "I am taking a few days off from The Talk to be with my family," Chen said earlier this week. "I will be back soon and will see you Thursday night on Big Brother." She did not address the controversy on Thursday night's show, but she did issue a statement in July after Farrow's first investigation detailed six claims of sexual misconduct against her husband. "I have known my husband, Leslie Moonves, since the late '90s, and I have been married to him for almost 14 years," she said on Twitter. "Leslie is a good man and a loving father, devoted husband and inspiring corporate leader. He has always been a kind, decent and moral human being. I fully support my husband and stand behind him and his statement." She broached the topic again on "The Talk" the following Monday, saying that the Twitter statement was the last time she would address the subject. "I will stand by that statement, today, tomorrow, forever," she said. Moonves acknowledged at the time of Farrow's first story that he made mistakes, but said that he "always understood and respected — and abided by the principle — that 'no' means 'no,' and I have never misused my position to harm or hinder anyone's career." After Farrow published his second story, Moonves said the new allegations are "untrue." CNNMoney has reached out to CBS and Chen's representatives for comment.